Intel has confirmed its plans to put some of its massive profits from last year to use, investing up to $2.7 billion (£1.68 billion) in its south Israel fabrication facility in order to prepare it for 22nm chip production. The investment, which will make the plant in Israel's Kiryat Gat the second of Intel's properties to be fully ready for 22nm production, will boost the facility's workforce by an estimated 1,000 over the next year. 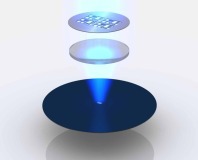 More importantly, however, it will also significantly enhance Intel's 22nm production volumes. The investment value is said to include a grant from the Israeli government of £131 million. This may be a comparative drop in the ocean, but it's still a welcoming hand from the country's government, and a sign that it clearly approves of Intel's move, despite Fassberg confirming that the company has no immediate plans to build additional facilities in Israel. 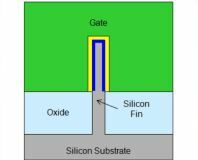 With 22nm production scheduled to start in December 2011, we could start seeing Intel's first 22nm chips in early 2012. Are you pleased to see Intel continuing to upgrade its facilities to 22nm, or surprised that the Kiryat Gat fab is only the second of the company's properties to receive such an upgrade? Share your thoughts over in the forums.